Snow and fun on well-prepared pistes – this is what you can find in Saalbach at the Skicircus Saalbach Hinterglemm Leogang. The right equipment and competent advice for skiing, snowboarding, cross-country skiing and freeriding can be found at the number one address for ski rental: INTERSPORT Rent in Saalbach. 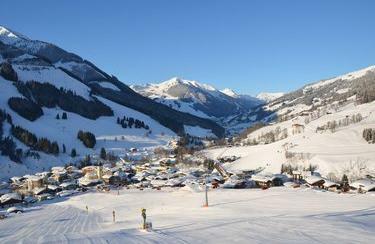 Anyone who wants to carve down the slope perfectly can find the best service at INTERSPORT Rent in Saalbach. Our native professionals offer everything from ski rental and material check through to piste and après-ski tips: that's all you need for a perfect ski day in Saalbach.